It is important to the overall management of the highway to ensure that wherever possible the drainage is working effectively, this will ensure that the safety of highway users is maintained and damage to the surface/structures is minimised. We will investigate drainage issues to determine what priority each will be assigned in accordance with the risk matrix in our Code of Practice for Highway Safety Inspections. We will set aside capital funds to resolve those drainage issues that are identified as priorities in line with the available budget for the year. 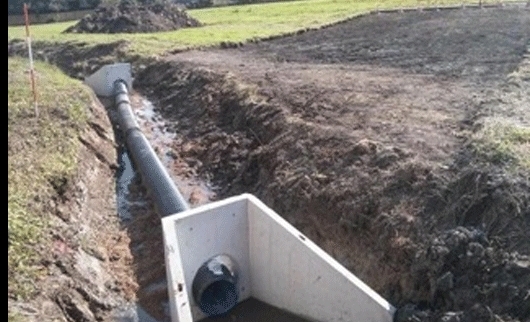 We will provide drainage service that aims to ensure all drainage assets work to remove surface water from the highway. We will provide a gully emptying service that is designed to clean gullies on the carriageway using a frequency that will ensure that gullies work efficiently. See Programme. We will also provide a service that can respond to blocked gullies based on priority. We will investigate reported drainage issues to determine the cause. We will then assign a priority to each issue in accordance with the drainage matrix in our code of practice for Highway Safety Issues. We will set aside Capital Funds to resolve those issues that are identified as priorities in line with the available budget for the year.